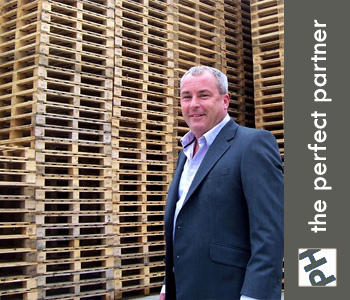 PH Pallets based in Manchester is long-established and viewed as one of the country’s most reputable pallet companies. 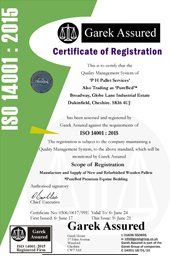 We have built our reputation over many years of trading within the pallet industry and have an extensive client base of customers and suppliers. 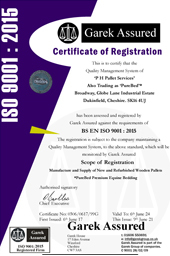 Our customer requirements have changed over the years with new distribution regulations throughout the world however PH Pallets has maintained a qualified workforce and with extensive investment at our Manchester pallet manufacturing plant we can provide continued and up to date pallet service for our customers ever changing requirements - now and into the future. 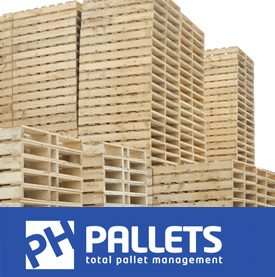 We manufacture new wooden pallets, supply used pallets or reconditioned pallets, offer pallet recycling, we repair, sort, grade, collect, purchase pallets, rebuild, purpose-build and ISPM15 heat treat pallets. On a weekly basis we handle around 30,000 pallets of all shapes and sizes in new, recycled & heat-treated formats. We call it Total Pallet Management and we do it for customers including industrial manufacturers, blue-chip corporates, transport and packaging companies. 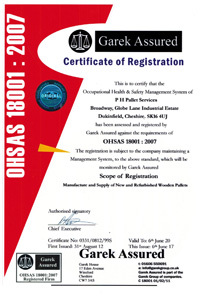 We welcome your visit to our web site and assure you of an even warmer welcome to view our pallet site facilities in Manchester. Did you know that your pallet packaging is a potential revenue stream? And that PH Pallets will collect your pallet packaging waste and pay you for many different types of pallets? We're in the business of pallet recycling - repairing, sorting and grading all types of pallets to re-use and re-sell. 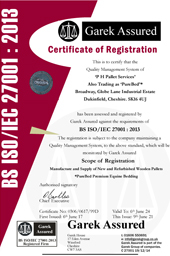 We collect and purchase pallets, accept pallets into our recycling facilities and purpose-build pallets providing a high-degree of professionalism - whatever the pallet service.